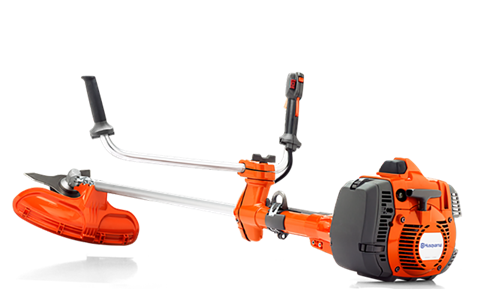 Husqvarna 545FR comes complete with trimmer head, grass blade and saw blade. This flexibility makes it an ideal solution for people who require the benefits both products offer in one, effective package. The X-Torq® engine provide raw power and excellent fuel economy. LowVib® vibration damping maximizes user comfort and control. TRIO-BALANCE HARNESS: Ergonomic harness with broad back support, shoulder straps and hip belt that distributes the load over a larger area. OPTIMIZED CENTER OF GRAVITY: Fuel tank placement in front of the engine improves balance. 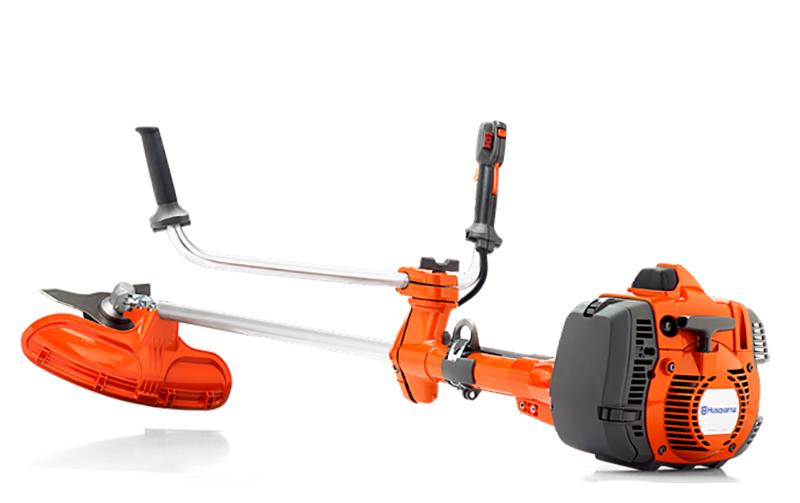 ERGONOMIC DESIGN: Angled handle bar and comfort grip handles improve operator posture. EASY CUTTING EQUIPMENT CONVERSION: Magnetic locking pin holder facilitates quick conversion of cutting equipment. TRANSPARENT FUEL TANK: Transparent fuel tank for checking the fuel level. COMFORT HANDLE: Comfortable handle design. Excluding cutting equipment - 19.2 lb.